I remembered there were cheat devices called the Game Genie though I only passed through the Gameshark. Yes, that Gameshark -- it was way before achievement-oriented gameplay appeared! It was those days in the 90s when we've got some games during the era of the first two Playstations, Nintendo 64, Gamecube, X-Box and the like. Those were the old old days when cheating through a game was a norm. You did it and your friends did it. I shared cheats with them a lot during the Playstation 1 days. I could remember a couple of games that I cheated in order to complete. I couldn't forget how often I used infinite health and infinite ammo whenever I played Resident Evil games because those games were freaking hard! I could remember how I used infinite money to finish Harvest Moon: Back to Nature or maybe my favorite thing to do was to use the Gameshark to use Shin Vega/M. Bison in Street Fighter Alpha 3 -- way before Street Fighter Anthology gave us Shadaloo-ism as a bonus content. Those were but a few memories of me cheating with Gameshark! Then it happened -- the end of the cheat code era. The Playstation 3 gave me a shock for my money. It was achievement oriented! I could remember how before -- you cheated to unlock all content. Now, you must unlock ALL the content! No more access to cheap bosses like how Jinpachi was playable in Tekken 5 via cheating. Also, you really just had to finish everything and the only "cheating" there was when you accessed bonus content by completing various options. 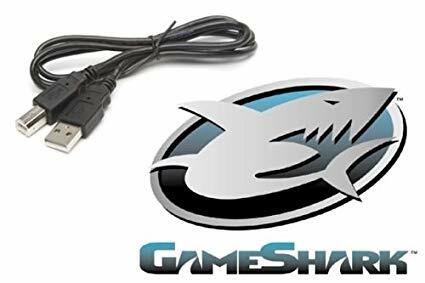 What I thought about the Gameshark era? Personally, I tend to miss it all the while the achievement oriented gameplay is a new thing. For example -- Tales of Xillia 2 gave you a reward for paying that ridiculously huge loan but it was more satisfying than having a Gameshark. Yet, I still miss the days when I used infinite money to easily buy items in RPGs in order to make life easier. It's a mixed feeling considering I was once so used to cheating with Gamesharks on survival horror games for more than once!